When Hurricane Matthew hit the Georgia coast last October washing away some of its sandy shoreline, UGA was ready. 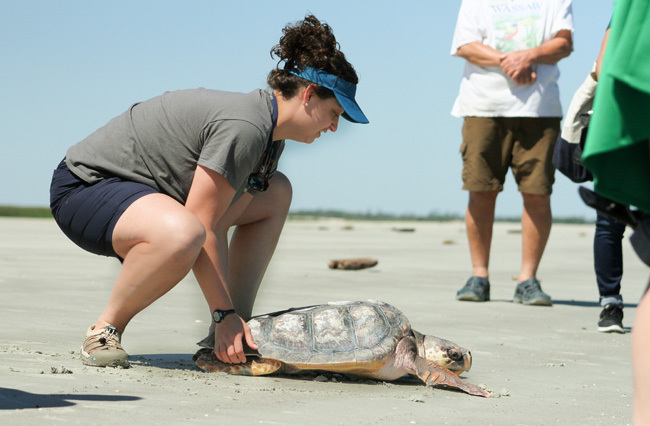 With funding from Georgia Sea Grant, the UGA Skidaway Institute of Oceanography already was studying sand resources and creating an inventory of sand deposits along the coast. Researchers are using that inventory to identify areas where sand was available to replenish the coastline that was lost during the storm. Replacing the lost sand is important to protect lives and property, as well as critical habitats, from coastal hazards. 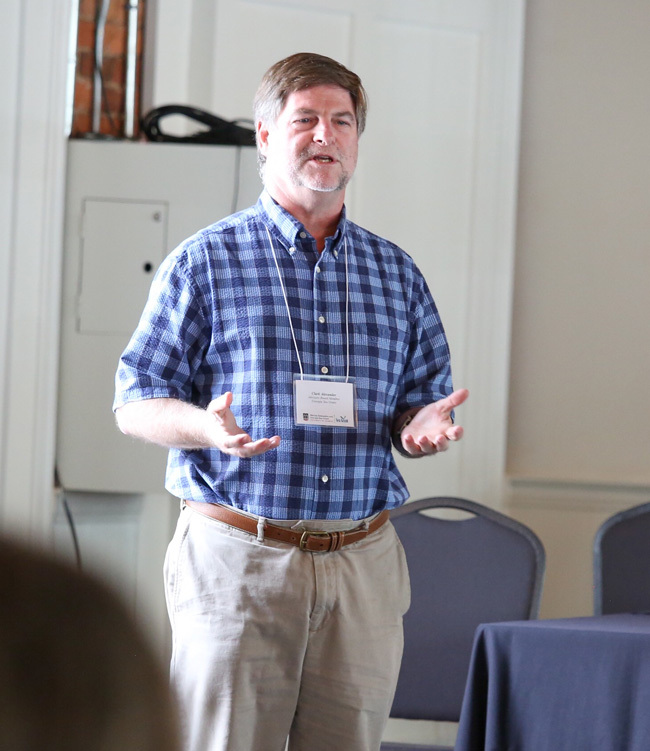 Alexander was one of many researchers across Georgia who presented a project during the Marine Extension and Georgia Sea Grant Research Symposium in Athens on June 1. 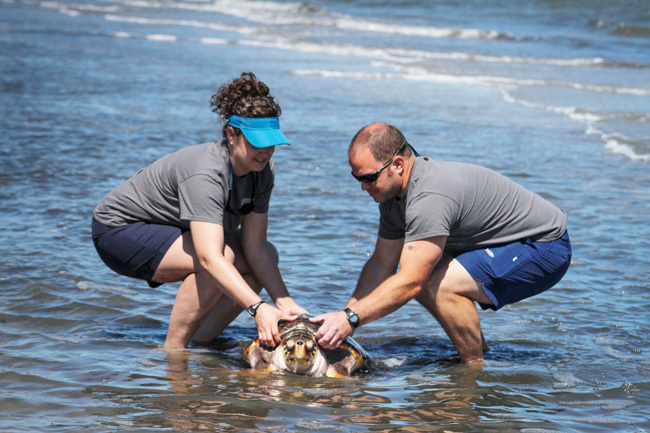 The annual symposium provides an opportunity for researchers to share their Sea Grant-funded work, network with others in the scientific community and look for collaborative ways to tackle the latest issues impacting the coast. 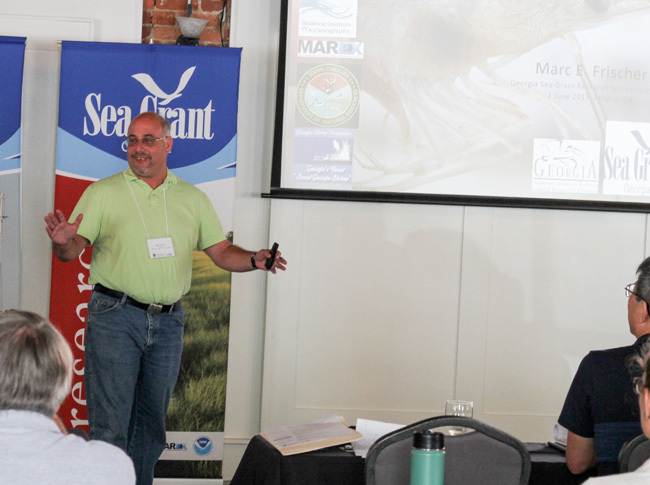 “Case studies presented during the symposium aptly illustrated Georgia Sea Grant’s success in elevating awareness of coastal issues, increasing local communities’ resilience to the effects of a changing climate and developing models that can be replicated to improve conditions on a global scale,” said Paul Wolff, chair of the Marine Extension and Georgia Sea Grant Advisory Board. Marc Frischer describes research into black gill in shrimp. 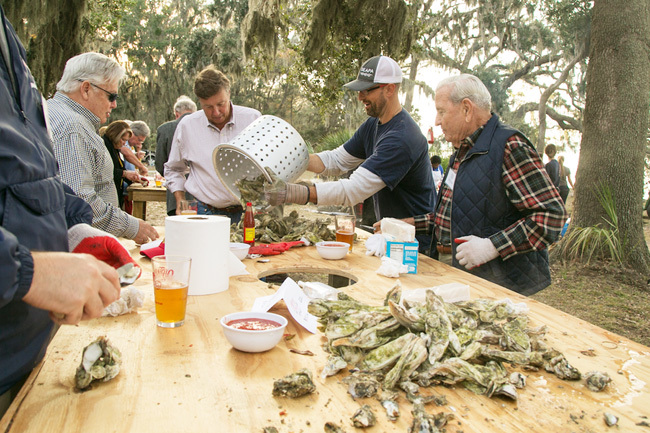 From projects that look at how to get local seafood into inland markets to those that measure the productivity of Georgia’s expansive salt marshes, Sea Grant-funded research spans a variety of topics and emphasizes the importance of multidisciplinary, collaborative research and outreach to effectively enhance coastal communities and ecosystems. 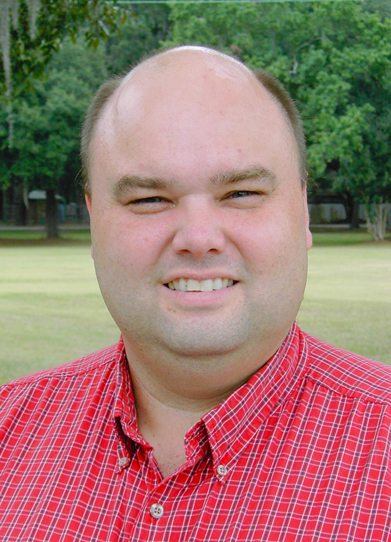 Research proposals submitted to Georgia Sea Grant are expected to include an education and outreach component to ensure that results reach beyond the research community and are delivered to a diverse audience. 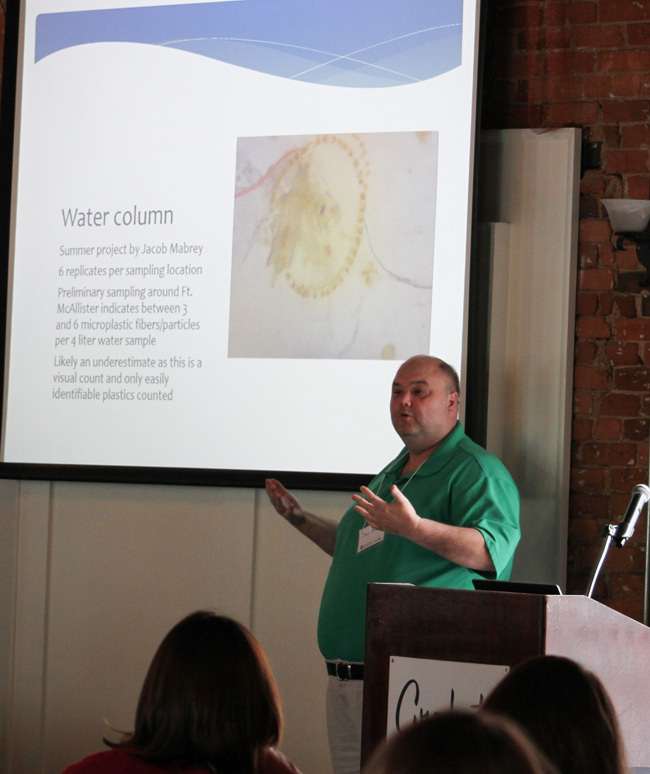 Jay Brandes presents his research into microplastics on the Georgia coast. Education and extension faculty and staff at Marine Extension and Georgia Sea Grant work to incorporate Sea Grant-funded research into public programs, workshops and curricula targeted to pre-k through college age students, resource managers, decision makers, the seafood industry and beyond. Kayla Clark describes the Sea Grant intern program. 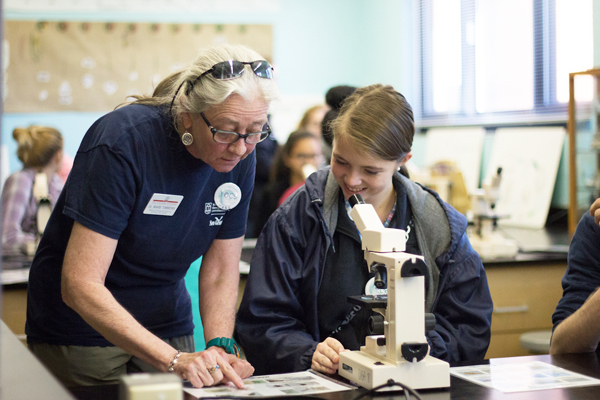 Other presenters from the Skidaway Marine Science Campus included UGA Skidaway Institute professors Jay Brandes and Marc Frischer, and from Marine Extension, associate director for marine education Anne Lindsay and public programs coordinator Kayla Clark. 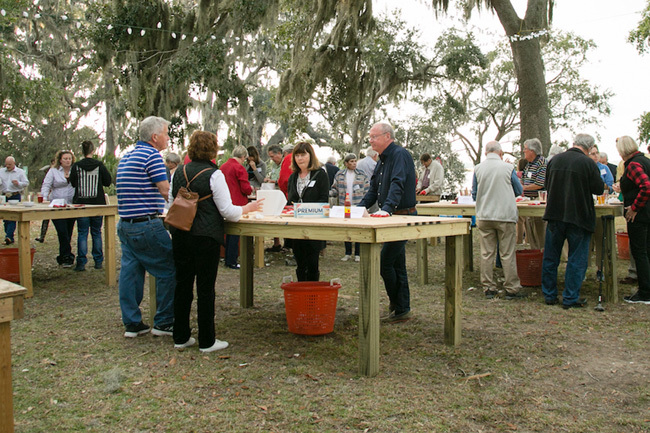 The event will include skill-building workshops, brainstorming sessions, citizen science presentations and panels featuring professionals working on coastal issues in Georgia. At the end of the day, students will work together to develop and present ideas for conservation efforts that they could lead in their local communities. 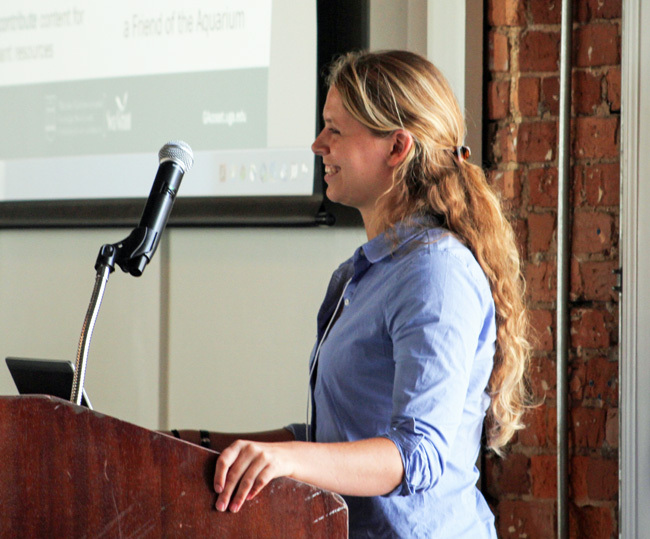 The event is being organized by the 2016-2017 Georgia Sea Grant Marine Education Interns Kira Krall, Hannah Kittler, Hannah Edwards and McKenna Lyons. Online registration opens Dec. 5 and closes Jan. 18. 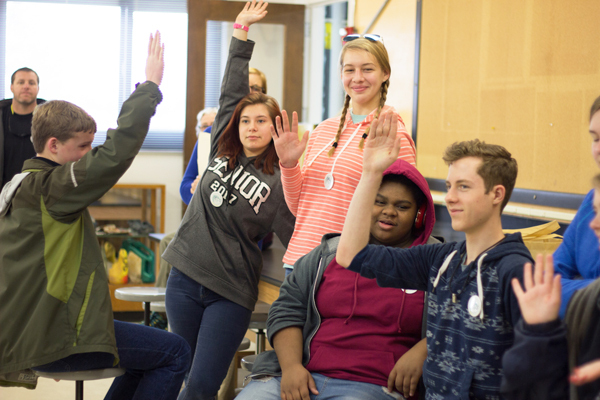 The summit is limited to 50 students on a first-come, first-served basis. A $10 registration fee includes lunch and all materials. To register, complete the online registration form and payment.